The month of February, many companies continue to announce their FY2015 Full Year results. M1 held the fort well given the threat and market panic caused by the news of the 4th Telco. 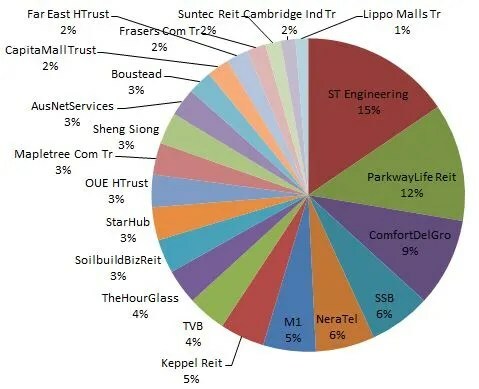 I am expecting to collect dividends from the stocks I hold such as Soilbuild REIT, Suntec REIT, Parkway Life REIT, Keppel REIT, Frasers Commercial Trust, Capitaland Mall Trust, OUE Hospitality Trust and Cambridge Industrial Trust. Given the market weakness, I bought a little more of ST Engineering. ST Engineering now stands at 15% of my entire portfolio. At the time of writing this post, ST Engineering has announced its FY15 results. Net profit dipped 0.5% YoY to $529m. Given the weak marine sector, I am not surprise at the results. The aerospace and electronics sector did well. I am still positive about ST Engineering in the long run, given its defensive and resilient nature. Over the past few months, I have been taking opportunity of the market weakness and buying more of the stocks I hold rather than introducing new counters into my portfolio. My war chest is depleting fast. Going forward, I shall be buying less or even none to build up my war chest so as to wait for the next buying opportunity.